The presentation of the STR Theatre Book Prize for books published in 2013 took place in the Val Parnell Suite of the London Palladium on Friday 9th May 2014 when theatre and publishing people, media folk and academics heard the judges speak about the year’s books and actress Maureen Lipman CBE made the presentations. Kate Bassett is a journalist and theatre critic who has worked as theatre critic for The Times, the Daily Telegraph and most recently the Independent on Sunday as well as contributing to many other publications and featuring regularly on BBC Radio 3’s Night Waves and On Air. She has chaired or been a judge on a number of theatre award panels and hosts and takes part in platform talks at the National Theatre and elsewhere. In 2013 her book In Two Minds: A Biography of Jonathan Miller was shortlisted for Theatre Book Prize, the Sheridan Morley Prize for Theatre Biography in 2013 and the HW Fisher Best First Biography Prize. Charlotte Westenra is a theatre director who has made her mark with productions such as Lower Ninth (Donmar at Trafalgar Studios), Kiss of the Spiderwoman (Donmar Warehouse), Darfur (with Nicholas Kent, Tricycle Theatre), Gladiator Games (Sheffield theatre and theatre Royal Stratford East) and as one of the directors of 66 Books (Bush Theatre). She is winner of an Olivier Award for Outstanding Achievement as associate director to Nicolas Kent for Bloody Sunday, has been resident assistant director at the Donmar, was associated director to Michael Grandage on Frost/Nixon and Piaf and is an Associate Artist at the Gate Theatre. Andy Lavender is Professor of Theatre & Performance and Head of the School of Arts at the University of Surrey. He was previously Dean of Research at Central School of Speech & Drama, University of London. He is the artistic director of the theatre/performance company Lightwork for which he has directed many productions. 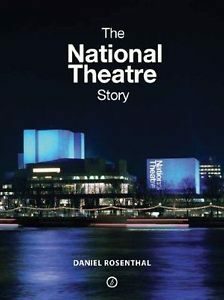 Publications include Hamlet in Pieces: Shakespeare reworked by Peter Brook, Robert Lepage and Robert Wilson and chapters and articles contributed to numerous other books and academic journals.